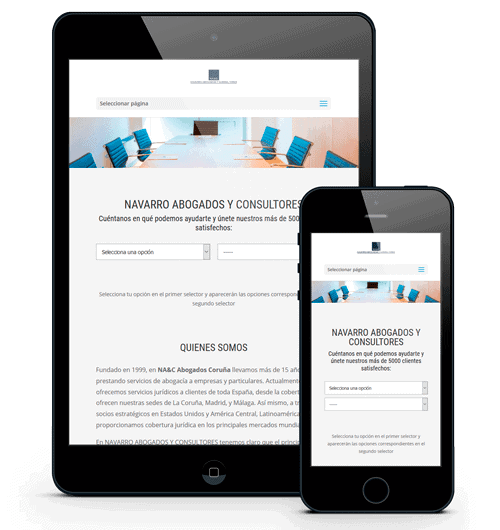 Navarro Abogados is a Spanish Law Firm specialied in Corporate Law and Banking. They have offices in La Coruña, Madrid and Malaga, but they can provide online services for all Spain. This is a prosperous and profitable business but intially with a digital image a little diffuse, which was not in line with the Firm high quality. The company wants to grow gradually throughout Spain, and they found us as a trusted ally to help them. Web Design, SEO, Digital marketing, consulting. 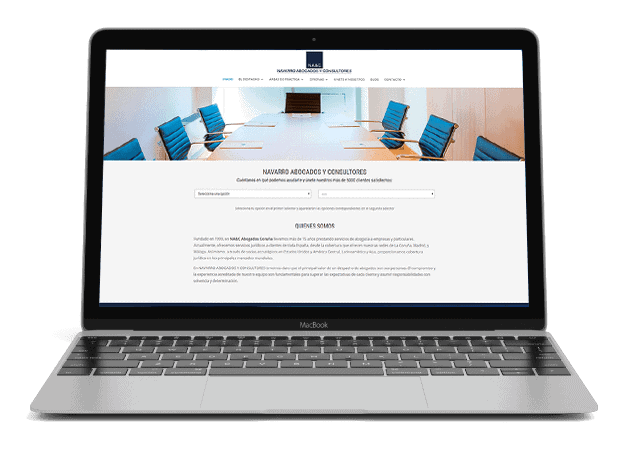 I carried out a complete re-design of the website, I updated the look and feel to get a modern and beautiful website. The website is structured with an ordered and intuitive page hierarchy, every page is Convertion oriented. With regards to SEO , the website is optimized for several keywords. I created and optimized also all Social Profiles: Facebook . Twitter, Linkedin y Google plus. A new strategy has been proposed for Navarro Abogados, minimizing investment in traditional channels and betting definitively on online marketing. We carried out different campaigns on the Facebook Ads platform, always based on the marketing strategy achieved. The actions consisted of a complete configuration and installation of the Facebook pixel and the conception of all the needed components to properly create a campaign, included monitoring and analytics.